This quote is the first time Dany stands up for herself against her brother Viserys. She is establishing herself independently from her family, and adding a few title to her name in the process. 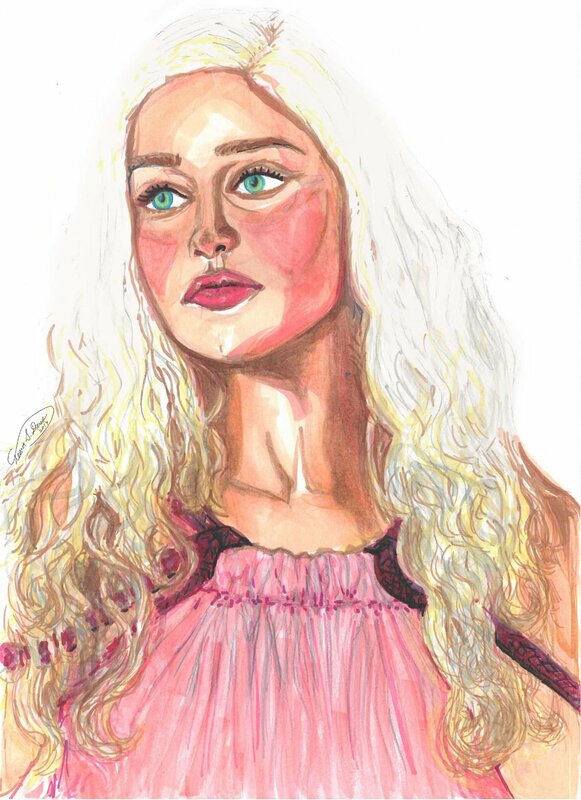 Drawings of characters from HBO’s Game of Thrones (based on books by George R.R. Martin). By Tessa S Dines, 2019. Game of Thrones characters undergo some of the most dramatic character evolutions of any on television, because of the traumatic events they relentlessly experience and because they're based on incredible & heartbreaking novels. Not only do characters change internally throughout the series, but the show allows fans to observe the changes with their own two eyes for better or worse (Reek, sorry man). Not only are the actors phenomenal, but the sets and COSTUMES are everything; They tell the characters stories just as well as the writing. Enjoy the final season… Winter is here. 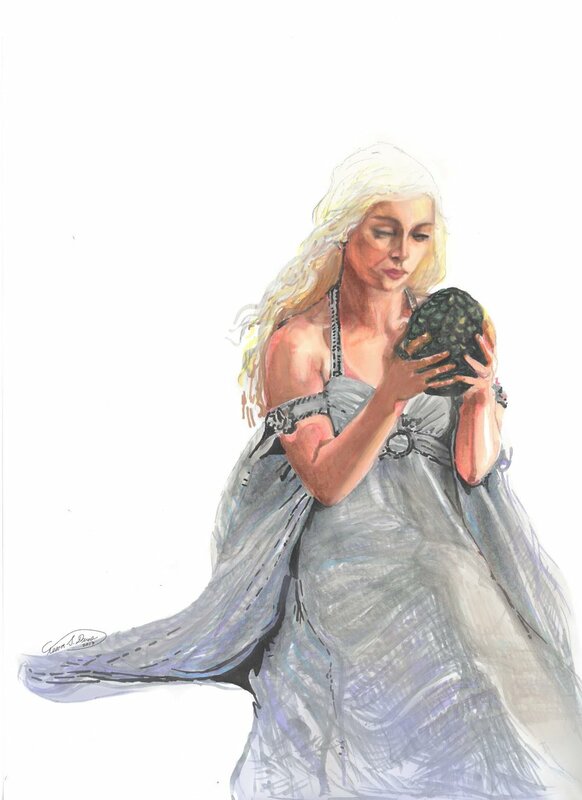 naïve, ungracious girl rises to chess-master & Lady of Winterfell. Sansa has undergone one of the most dramatic character changes in the series. She begins as a naive young woman with a romanticized view of marriage, and a fantasy of moving the Capitol. After her many tragic experiences, especially in the show's version (vs the book) she grows more skeptical, developing skills like manipulation to survive. Her blossoming, darkening and hardening as a character is reflected in her incredible looks. 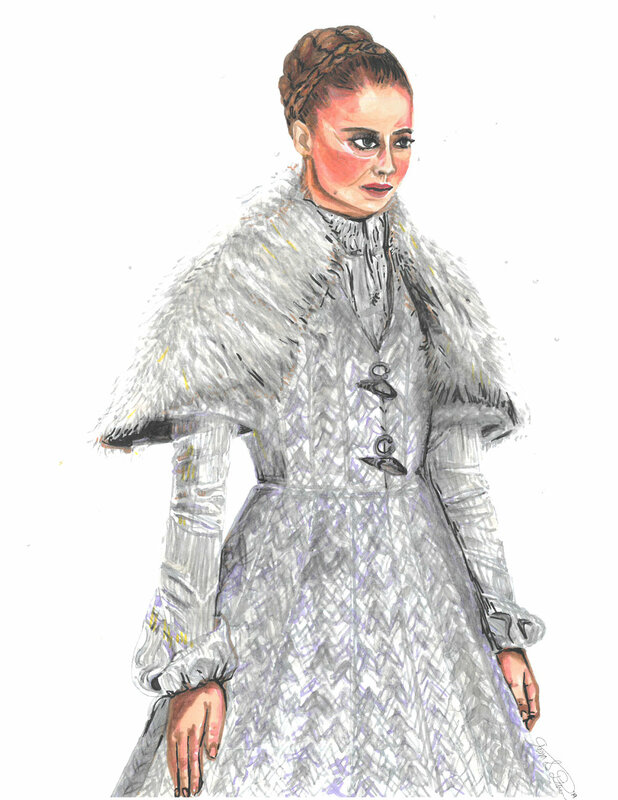 Here's my #Sansa series. [SPOILERS] After Daenerys "trades" Drogon for the Unsullied, she orders them to turn on the slavers. It is then that she adds "Breaker of Chains" to her already imposing title, and takes the mantel in my heart as the protector of the proletariat & queen of my dreams.